For over 25 years, motivational speaker Bill Bachrach has been teaching financial professionals to speak the language of trust and the art of building high-trust client relationships. Beginning in 1988, after being a successful financial advisor himself, Bill became the driving force behind the Trusted Advisor and Values-Based movements in the financial services industry. Over this time he has earned the reputation as the world’s leading authority on the subject of trust for financial professionals. His books are industry best-sellers and his articles are published and republished in our most-respected journals. Bill has delivered well over 1,000 presentations for nearly every major financial services firm and association in the English-speaking world, including 11x for the Financial Planning Association, 5x for MDRT, and 4x for Top of the Table. Financial Planning Magazine inducted him into their Hall of Fame as one of our industry’s most influential people and the National Speakers Association inducted him into their Hall of Fame for his platform speaking skills. – Examples illustrating patterns of how successful advisors move the needle on the “trust dial” to the maximum. – 3 keys to speaking the language of Trust. – Common mistakes financial professionals make that unwittingly move the needle on the “trust dial” in the wrong direction. – Great questions that move the needle on the “trust dial” in the right direction. – Inspiration about why this is a great business and why you should be the most successful Financial Professional you can be. The participants will leave this session with more clarity about why trust is so crucial, what to do to move the needle on the “trust dial” in the right direction with existing clients and more rapidly establish trust with prospective clients, how to implement immediately in the real world, and inspiration to implement. The impact of deliberately building a high-trust client relationship is quickly evident by clients who are more willing to pay for financial planning and advice, more assets gathered, clients who implement the advisor’s advice, and clients who are more inclined to refer. To be one of the most successful financial professionals in today’s world you must effectively lead yourself, lead your clients, and lead your team. In this powerful, content-rich session Bill will discuss the keys to going beyond being a technically competent practitioner to running your business like a true CEO and high-trust leader. – Lead your clients to make smart choices about their money without being distracted by what is out of their control like the markets, the economy, politics, and world events. – Lead your team to own the results necessary for optimal client service and business success. – Lead yourself to have the discipline to do what’s most important and productive rather than what’s comfortable and familiar. – More revenue and profit from Ideal Clients. – Less stress and anxiety. – Greater time freedom and quality of life. Just as trust is the glue that holds the Advisor – Client relationship together, so it is with the Leader – Advisor relationship. This session considers the importance of trust, how to establish it, how to maintain it, and how use it to inspire advisors to tap their true potential for the benefit of their clients and themselves and families. Leaders and managers will become better at attracting, retaining, and elevating the success of advisors. – Why high standards have more power to influence behavior and success. – How to tap into an advisor’s most important goals and most deeply held values to inspire them to do the work their goals require to achieve them, especially when they don’t feel like it. – How to help advisors focus on what they can control, so they stay on track even when negative market, economic, political, or world events are distracting. Just as trust is the glue that holds the Advisor – Client relationship together, so it is with the Wholesaler – Advisor relationship. This session considers the importance of the high-trust relationship between the wholesaler and advisor, how to establish it, how to maintain it, and how use it to inspire advisors do more business with the wholesaler and his / her company. Wholesalers will become better at attracting and retaining relationships with more successful advisors in a way that increases the flow of business into their products and services. – How to tap into an advisor’s most important goals and most deeply held values to inspire them to do more business with the wholesaler and his / her company. – How to structure a more targeted business plan that cultivates relationships with successful advisors and converts those relationships to enough business to exceed their goals. – Self-leadership to do the work required to achieve their goals, especially when they don’t feel like it. – Why this is GREAT time to be a Financial Advisor! – How a compelling vision of your future can help you tap into your own, personal motivation to do the work your goals require to achieve them. Especially when it’s hard or you just don’t feel like it. – How to model the right mindset to remain focused and on-track to achieve your goals, regardless of external negative events that are beyond your control. – Why being a Trusted Advisor, not a salesperson, will help you attract and retain better clients. – What a better value proposition can do to help you attract and retain better clients. – That there is no silver bullet, so stop looking and just do the work your goals require to achieve them. – How the power of self-belief and borrowing the belief of others can propel you to higher levels of success than you may have previously believed possible. Advisors leave this session with tools and inspiration to create a roadmap so they can more quickly and easily reach higher levels of success. Do you have clients who do some of their business with you, but not all of it? Do you have clients who do transactions with you, but not comprehensive planning? Do you have clients who have some of their assets under your management, but have more money elsewhere…maybe a lot more? Do you have clients who follow some of your advice, but don’t follow all of your advice? Do you have clients who know lots of people they could be referring you to, but they aren’t? What would have to happen to shift these client relationships to a deeper level of trust so they do all of their business with you, bring all of their assets under your management, follow all of your advice, and introduce you to everybody they know who could possibly be an Ideal Client for you? What impact would having the skill to create this relationship shift have on your business? How much more money would you make? How much more time freedom would you have? And how would that impact your overall professional and personal satisfaction? You’ve heard the saying that successful advisors do what unsuccessful advisors are unwilling to do. What exactly are those things that the successful advisors do? And what exactly are those things that unsuccessful advisors do? In this high-content, what-to-do and how-to-do-it workshop, Bill Bachrach will dive deep into the specifics of the activities that drive success and those that create predictable failure. It’s not personality or luck or genetic predisposition that determine your success or failure as a Financial Advisor. It’s consistently doing certain things in a certain way that produces certain results. Client Appreciation Events are effective for client retention as they enhance trust and loyalty. Client appreciation events can also boost client acquisition because your clients’ friends, family and colleagues who attend the event will be impressed with the impact you have had on your clients’ lives and may be more inclined to want to meet you to do the same for them. – Get clear about what’s really important in life. – Be the heroes of the evening. – Put into writing the specifics that define their Ideal Life. – Make commitments to live a more Ideal Life. – Leave with actionable ideas for having a more Ideal Life. 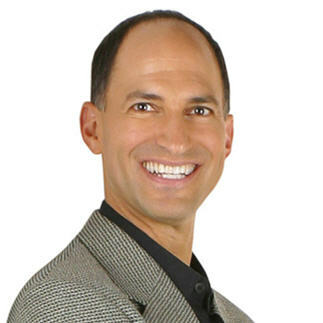 Bill Bachrach loves to help people create and live their ideal lives. How does he do it? First of all, he asks really good questions. Questions that make you think about your future and make better choices so you can have the future you want, not the future that just happens. The answers to these questions can – and will – impact your life in the areas that matter the most: your physical health, your relationships, your spiritual health, your personal well-being, your financial health and your career success (if you’re still working). Having Bill speak at your client appreciation events will clearly send the all-important message to your most important clients they are more than just accounts and assets to your firm. The Financial Road Map® is a very compelling, relationship shifting, trust-building client interview process. The results are clients who are more inclined to pay an up-front fee for planning and advice, are more forthright about where all of their money is and more likely to move it to you, are less distracted by negative news, more inclined to implement all of your advice, and more willing to refer you to others. The bottom line results are that you will do an even better job for your clients, earn more money from planning and advice fees, more money from AUM, more money from other advice implemented (insurance, annuities, alternatives, estate planning, etc.) and get more referrals. The Financial Road Map® effectively moves existing client relationships to another level and works well as the initial engagement interview with prospects. The 3-day Custom Financial Road Map®Workshop is a multiple day event that includes significant amounts of time for real-time practice and feedback. It is serious training for serious results. The end result is a clientele where they all do all their business with you, and trust you enough to introduce you to your ideal future clients.